Let's Talk! Thanks for stopping by! We're here to help, please don't hesitate to reach out. Serving Clients In The Los Angeles Area & WorldWide. 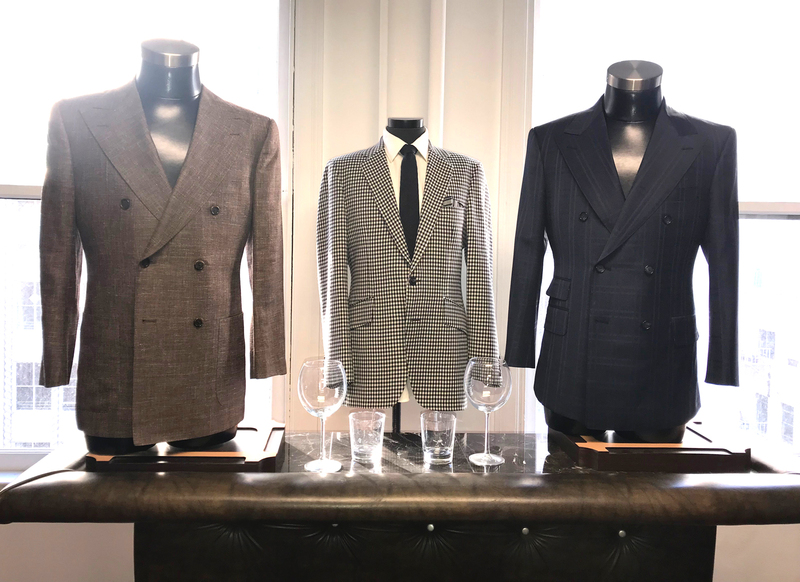 Make a complimentary booking with one of our experienced tailors.Our tailor will be in contact with you to confirm your appointment within 3 hours and answer any questions you have about the process. Once we’ve established your requirements we will find out your initial budget which will help us guide you into the appropriate fabric and production. We will explain the different styling options you can choose between and explain reasons for choosing each option, ensuring no detail is overlooked. Everything must be done with attention to detail – stitch afer stitch after stitch, using a steam iron, treating the lapels and their roundness, quilting thin layers of canvas. All with precise cutting. Like a puzzle where all the pieces fit together perfectly, lines, squares and stitches fall together and re-create the design the customer originally had in mind. 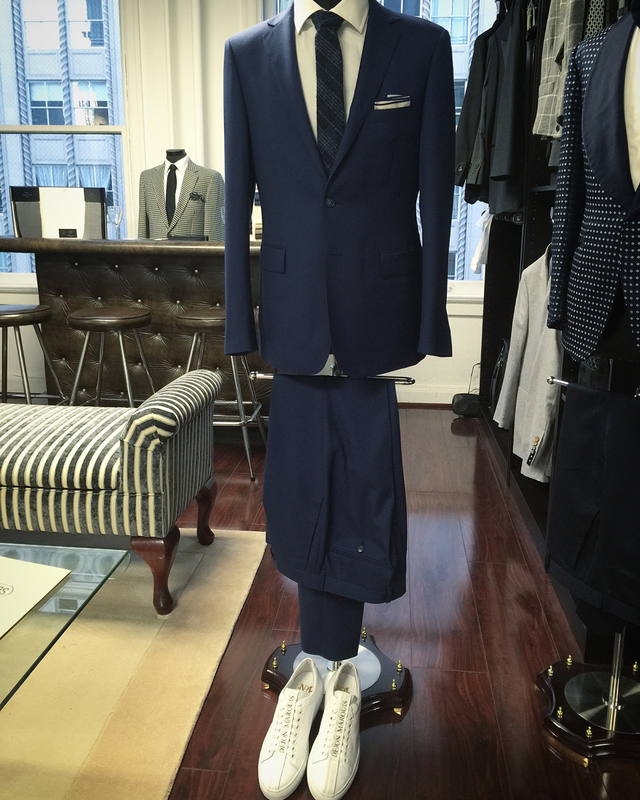 Each customer who decides to own a “Bespoke Suit” will have his own “Custom Pattern”. 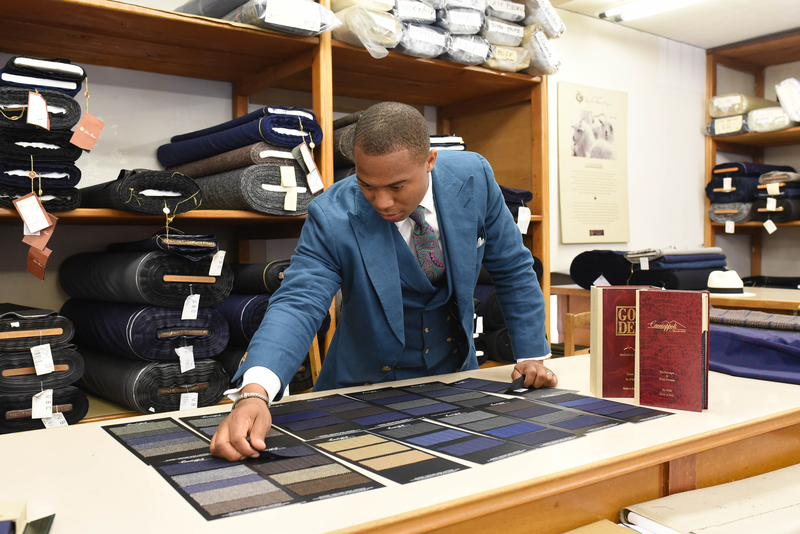 By doing so, the tailors will archive all details in the customer’s personal dossier so that in the future, for any upcoming order, the customer will only have the pleasure of selecting the fabric of his liking and avoid unnecessary fitting appointments. There are about forty hours dedicated to the finishing and complete packaging of a suit. About 30.000 stitches are used to put together a masterpiece conceived by you and perfected by the hands of our experts who create its soul. Starting with the pattern of the suit, working through the canvas (made of horsehair, cotton and camel) up until the last ironing. 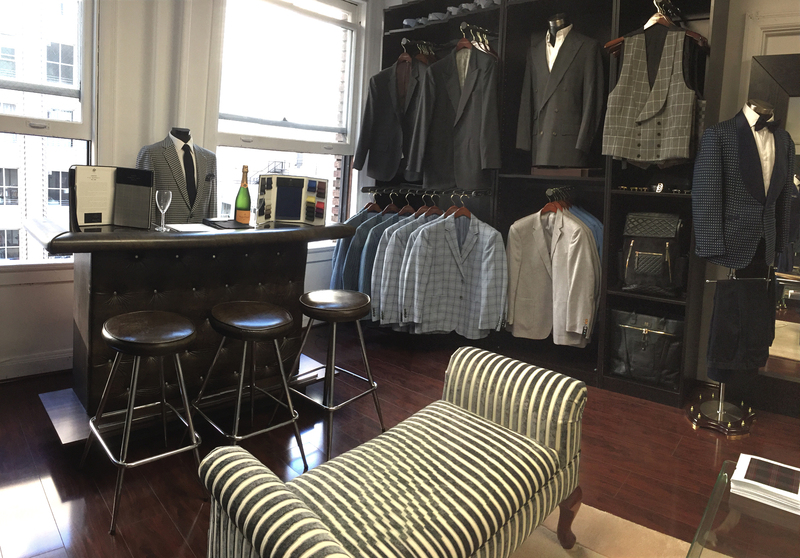 The entire establishment that DÈJON MARQUIS designed is a place where all enthusiasts can share time with us.A place out of time, where every element of a men & women wardrobe can be customized on its own dimensions and needs.